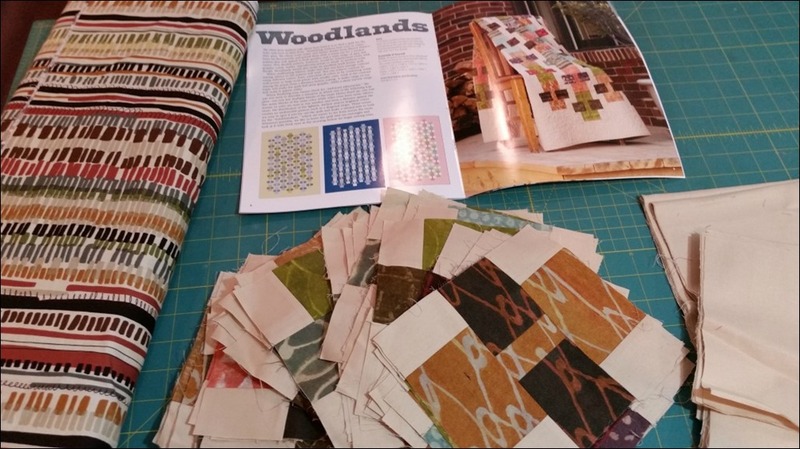 After much deliberation, I selected Woodlands as my September OMG (One Monthly Goal) quilt. 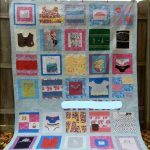 This is a challenge started by Heidi at Red Letter Quilts to motivate quilters to accomplish one goal per month. I have a couple commission quilts to make and maybe should have made one or both of them as my goal, but since I consider them “work” they will probably be finished anyway. I wanted this goal to be something I likely wouldn’t have done without the challenge. 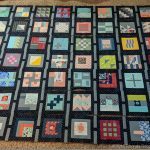 I picked up a kit for this quilt at Quilt Expo in Madison, WI at least three years ago and it could have been four or even five years ago. 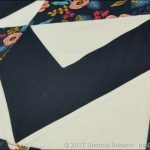 When I got the kit, it was a little out of my comfort zone at the time with solid backgrounds and the Marcia Derse fabrics. Back then, I couldn’t imagine using all the solids that I do now! 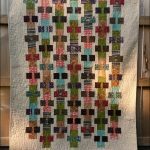 The blocks were pieced in March of 2015 when my daughter Jen and I went to a weekend retreat at Olive Juice Quilts in Onalaska. After the retreat, I put all the parts back into the project bag where they’ve been until today when I took them out for this photo shoot. I got even more excited to finish this when I found the fabric on the left in my stash. It will be the perfect back. I’ll have to make the quilt a little smaller for the stripes to run horizontally, but this quilt isn’t for a bed anyway, so it will work fine. Now I’m excited to start working on it. So, my goal for September is to get this thing FINISHED! Beautiful colors, it’s going to be a gorgeous quilt. 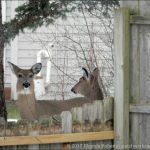 Good luck with your goal this month. This is going to be a beautiful quilt! Where did you get the pattern? Isn’t it fun to get re-energized about a project? I look forward to seeing your completion! What a beautiful project. Love those fabrics and the backing does look perfect with them. Thank you for linking up with One Monthly Goal!